Enjoy the best inspirational, motivational, positive, funny and famous quotes by A. J. Massengale. Use words and picture quotations to push forward and inspire you keep going in life! 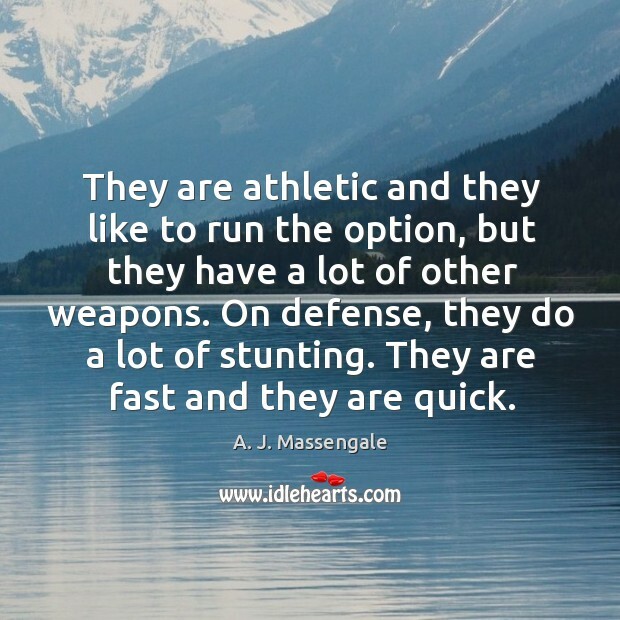 They are athletic and they like to run the option, but they have a lot of other weapons. On defense, they do a lot of stunting. They are fast and they are quick. It’s definitely a tough stretch for us. All we can do is play it. 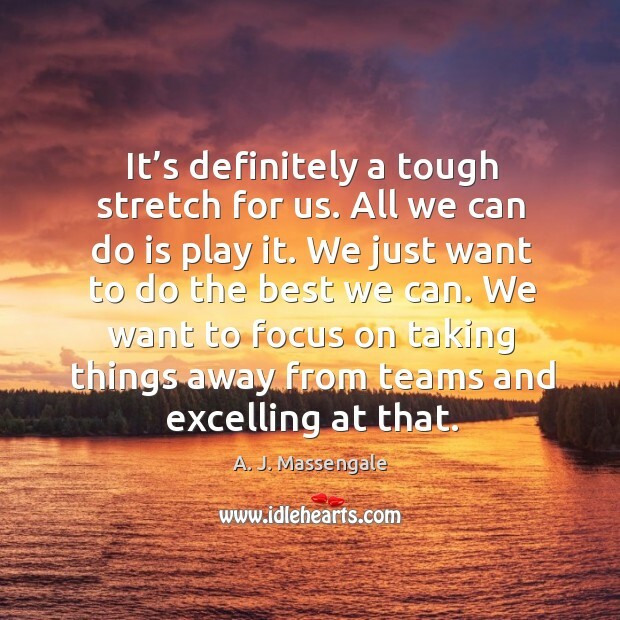 We just want to do the best we can. We want to focus on taking things away from teams and excelling at that. 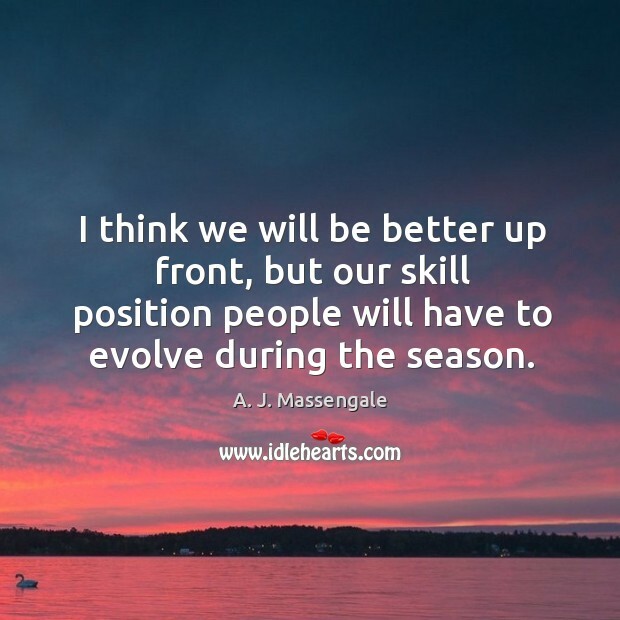 I think we will be better up front, but our skill position people will have to evolve during the season. 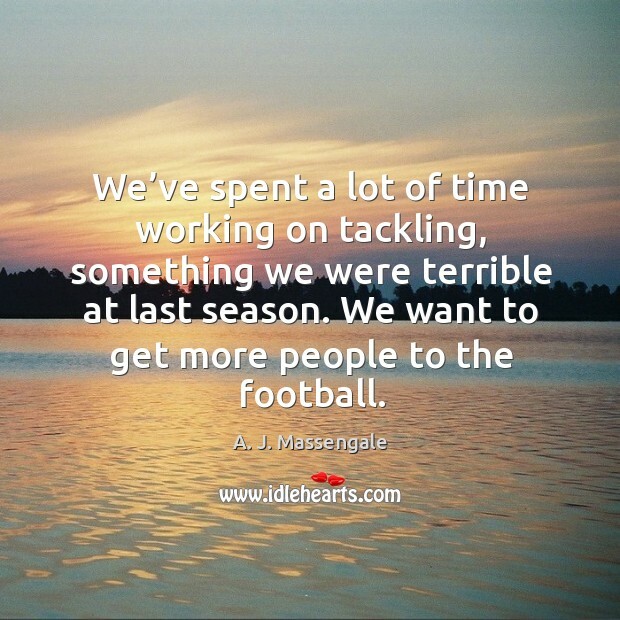 We’ve spent a lot of time working on tackling, something we were terrible at last season. We want to get more people to the football.